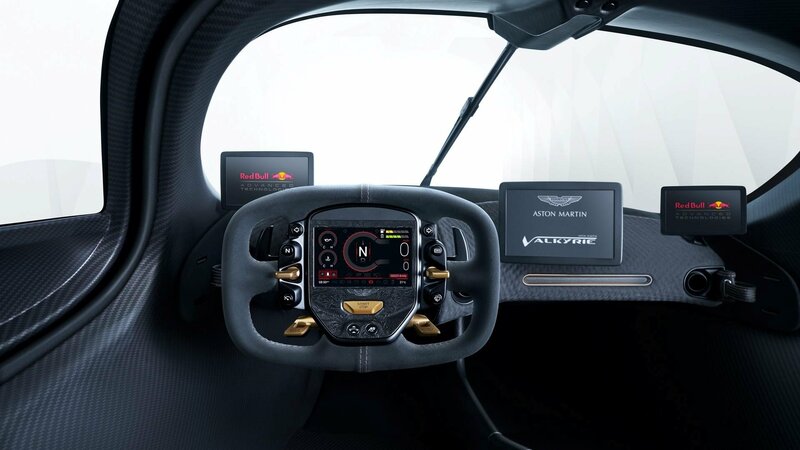 Jaws all over the world dropped last summer with the reveal of a concept showcasing an early design for Aston Martin’s new Valkyrie hypercar being developed in partnership with the Red Bull Racing Formula One team. 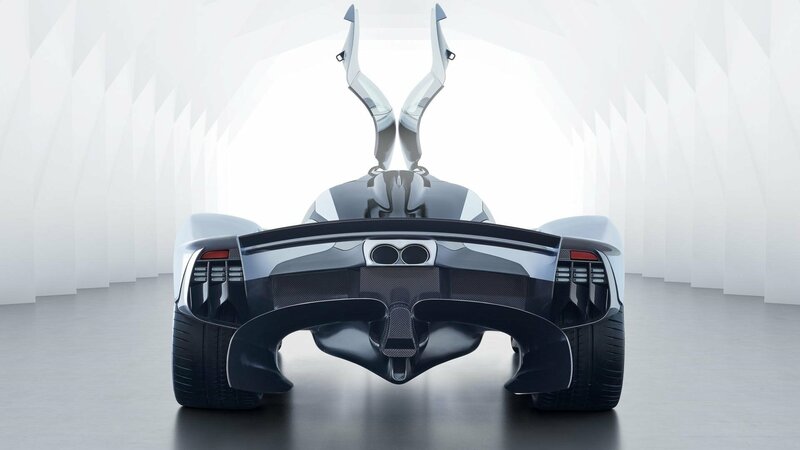 However, opposite to what’s usually the case in the auto industry, the production version of the Valkyrie is shaping up to be an even wilder car than the concept. 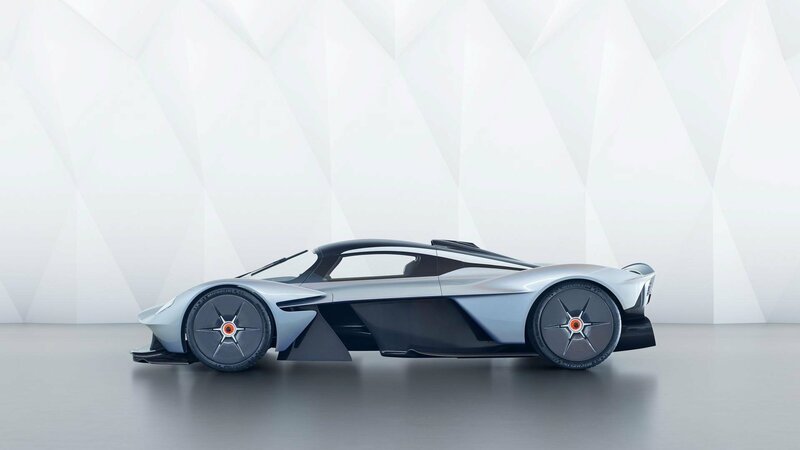 Aston Martin late on Tuesday revealed a near production-ready example of the Valkyrie, and it’s got even more fins, air channels and aerodynamically shaped surfaces than the concept. 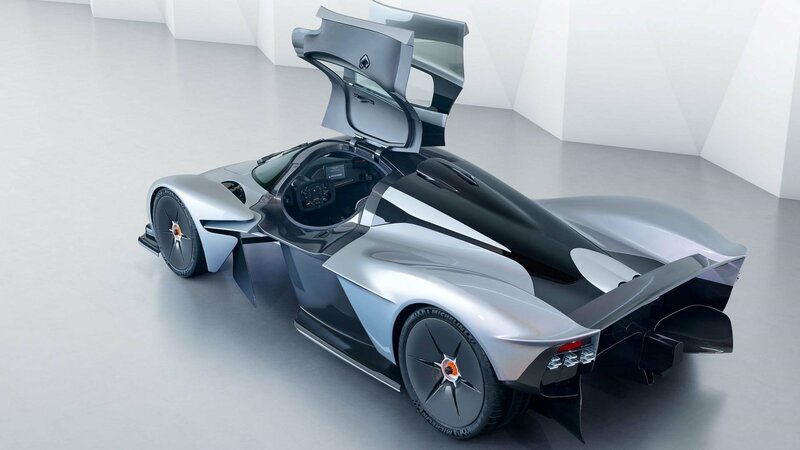 According to Aston Martin, the design shown here is 95 percent complete. 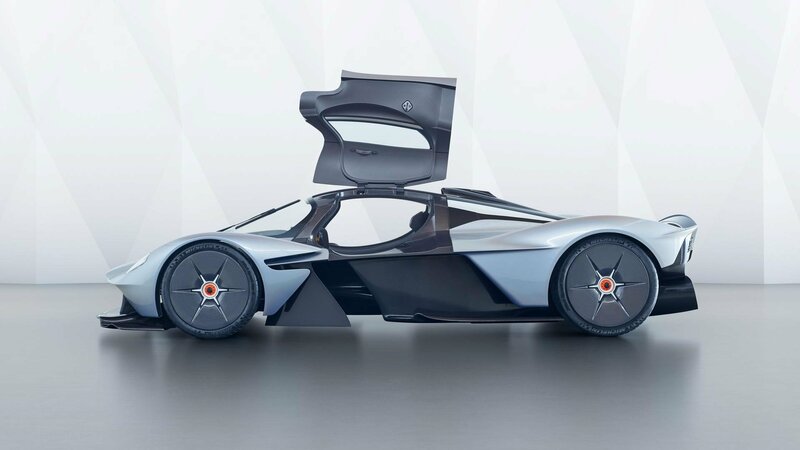 Some elements will change as the design team, led by Red Bull’s expert aerodynamicist, Adrian Newey, attempts to eke out as much downforce as possible. 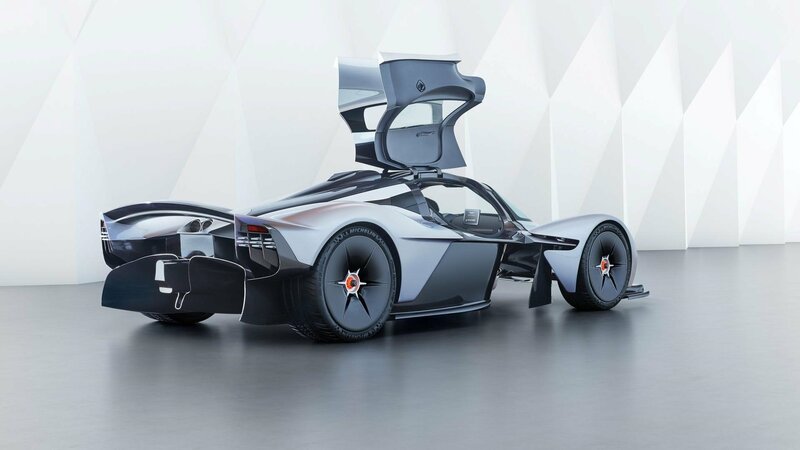 The Valkyrie was originally shown a year ago and since then the two companies have been perfecting the exterior to maximize aerodynamics while maintaining a desirable shape. 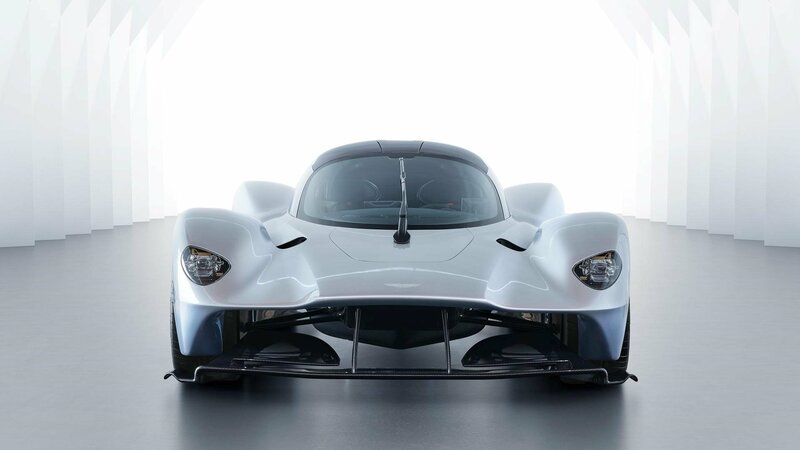 Much attention was given to the F1-inspired headlights, which are actually 30 to 40 percent lighter than the clusters of any production Aston Martin on sale today. To fully comprehend the focus on keeping it as light as possible, the wings badge is different than what the other Astons have. It’s manufactured out of a chemical etched aluminum only 70 microns thick, thus making it 30 percent thinner than a human hair and at the same time a whopping 99.4 percent lighter than the regular badge. 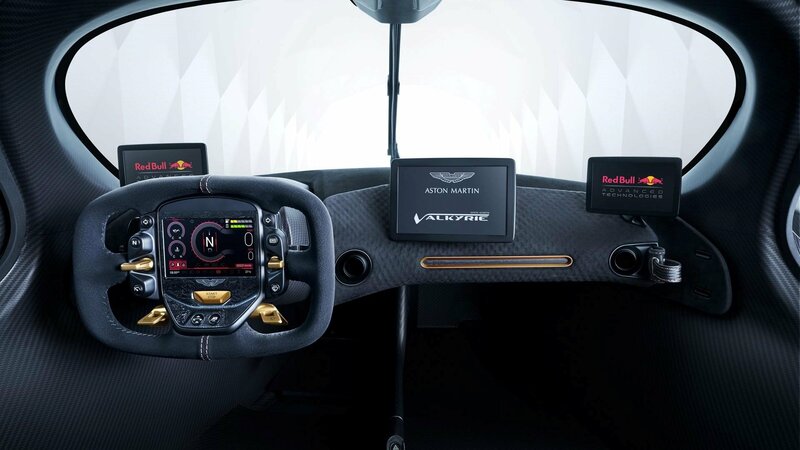 The Valkyrie will be powered by a mid-mounted 6.5-liter V-12 working in conjunction with a KERS-style hybrid system. 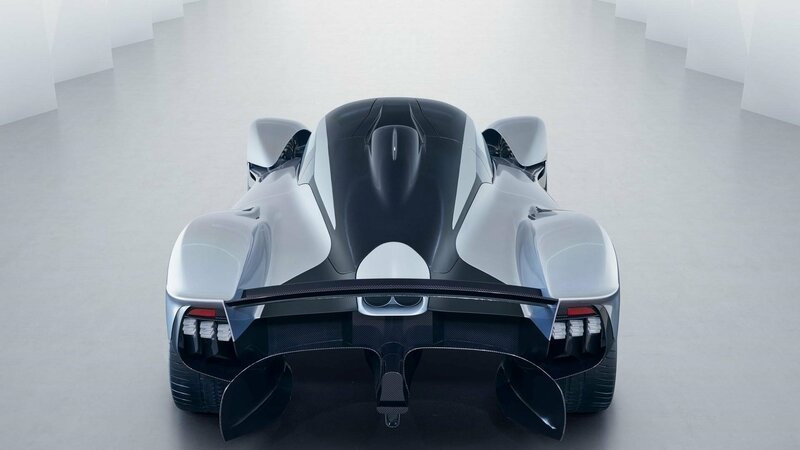 The V-12 alone is expected to produce 1,000 hp, making it the most powerful naturally aspirated engine of any production car. An additional 130 hp is expected to be added by the hybrid system’s electric motor. 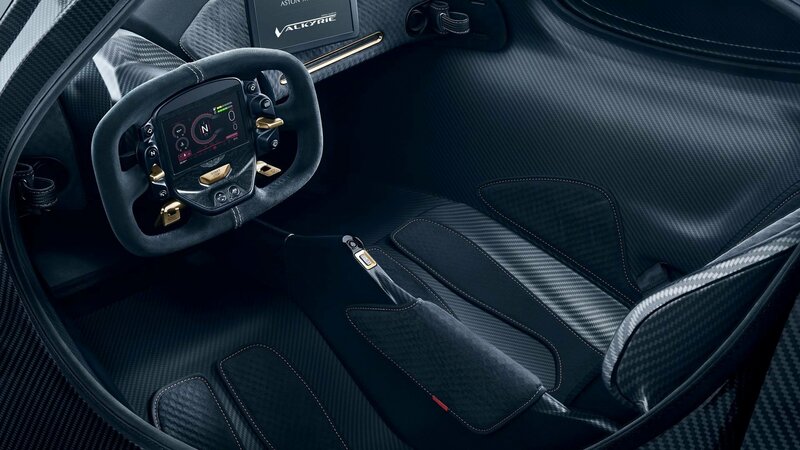 Both power sources will drive the rear wheels only, via a 7-speed transmission of undisclosed type. 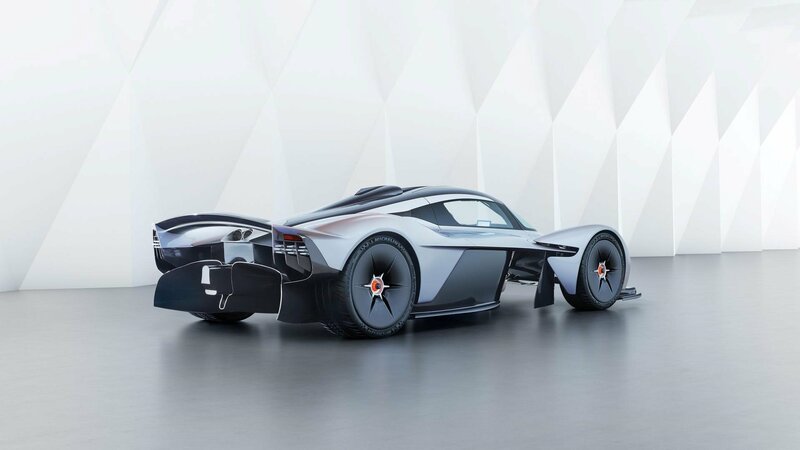 Besides those 150 road-legal cars we’ve mentioned, Aston Martin is also going to make 25 track-only vehicles that will be able to match the performance of an LMP1 car at the Silverstone circuit.